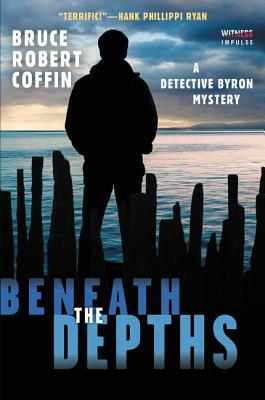 In this latest gripping mystery from bestselling author Bruce Robert Coffin, Detective Sergeant John Byron is back—and ready to prove that no one on his beat is above the law. When the body of prominent Portland attorney Paul Ramsey turns up in the bottom of Casco Bay, following his loss of a multimillion dollar civil trial, Byron knows it's no accidental drowning. Golden boy Ramsey had a dark side—and Byron believes the key to solving his murder lies in uncovering those secrets someone wanted buried along with him. With the brilliant Detective Diane Joyner by his side, Byron takes on Ramsey's former employer, the powerhouse law firm of Newman, Branch & DeWitt. But delving further into the troubled waters of Ramsey's past only serves to lengthen the list of suspects—unleashing a perfect storm of corruption, betrayal, and murder that only Byron can stop. If he's not too late. Bruce Robert Coffin is a retired police detective sergeant and bestselling author of the Detective Byron Mysteries. He lives and writes in Maine.